Gordon Thomas Honeywell-GA (GTH), globally-recognised mavens in forensic DNA legislation and coverage, held live panel discussion ‘Where’s The DNA?’ on Tuesday at Indian Law Institute, New Delhi, to bring together experts from the law enforcement, judiciary, forensics, victim advocacy, academia and media groups to discuss the imperative need to build conviction, exonerate the innocent and solve crime to expedite the Indian criminal justice system. 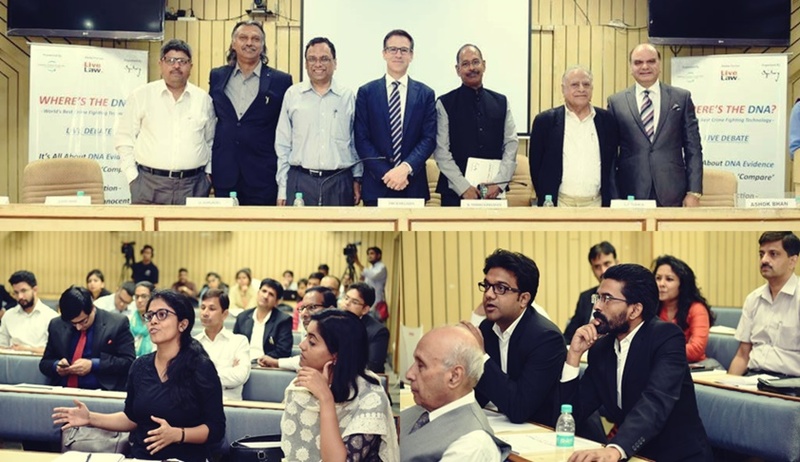 “India needs a more aggressive DNA ‘Collect, Test and Compare’ approach for faster conviction and disposal of cases by courts,” Tim Schellberg, president GTH-GA, said. Valuable inputs were also added by Dr Durgadas Kasbekar, INSA Senior Scientist of Center for DNA Fingerprinting and Diagnostics (CDFD), senior advocate Vivek Sood and advocate Ravi Kant, president of Shakti Vahini. The session was moderated by senior journalist Sidharth Pandey at Indian Law Institute. Experts concluded that India must formulate rigorous quality assurance and accreditation programmes for DNA testing for implementing the DNA evidence in criminal investigations. This would clearly mark distinction made between human error, attempted fraud and technical failures. While low adoption rate can be attributed to poor infrastructure and lack of policy push, the root of the problem is knowledge gap and misconceptions about DNA forensics across all levels of our society and this dialogue and campaign on ‘Where’s The DNA?’ is designed to eliminate just that. For further information, please contact Tim Schellberg (tims@gth-gth.com, 253-2098818), or Prashant K Gunjan (prashant.gunjan@ogilvy.com, 9650026623).